Federal officials are giving out $10 million in grants to reduce phosphorus in the Great Lakes. The element is tied to the production of algae, which can be toxic to wildlife and people. The funding is part of the Great Lakes Restoration Initiative, launched in 2010 to tackle a diverse set of environmental problems. High levels of phosphorus are often due to farm runoff and poorly treated sewage, according to the initiative’s action plan. The grants are aimed at farmers who are looking for more efficient conservation programs for their land and nearby water sources. The U.S. Department of Agriculture Natural Resources Conservation Service is the primary agency administering the grants aimed at phosphorus reduction. It will target eight watersheds in 2012, said Martin Lowenfish, acting team leader for conservation initiatives at the agency. They are the Maumee River and Blanchard River watersheds in Ohio; the Green Bay, Fox River and Duck Creek watersheds in Wisconsin; and the Saginaw River and Flint River watersheds in Michigan. 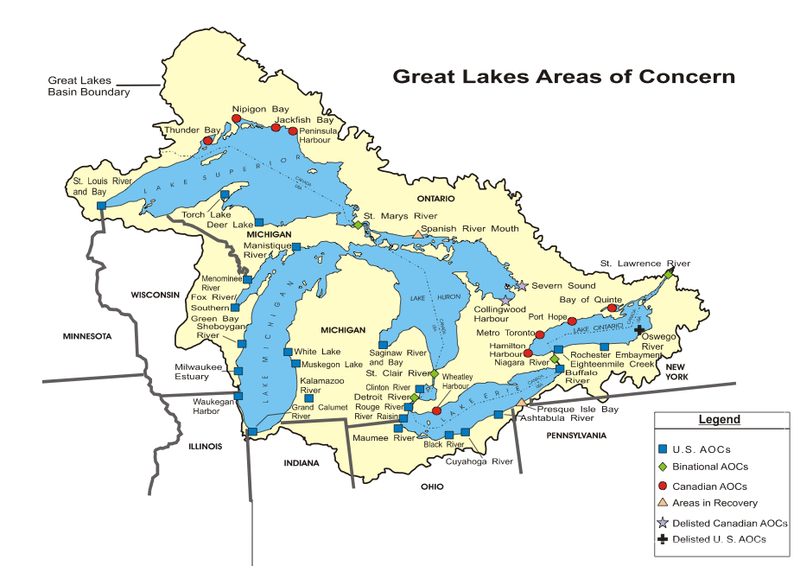 Map of the Great Lakes Restoration Initiative's areas of concern in 2011. Photo: EPA.gov. There will also be phosphorus reduction plans implemented in the other Great Lake states through other federal agencies. Farmers must apply for a grant at their local USDA Service Center. The deadline to apply is June 8, 2012. The money will be used to help farmers add manure and fertilizer below the soil, apply less phosphorus, plant buffers and filter strips along ditches and streams and plant more diverse crops to reduce runoff. 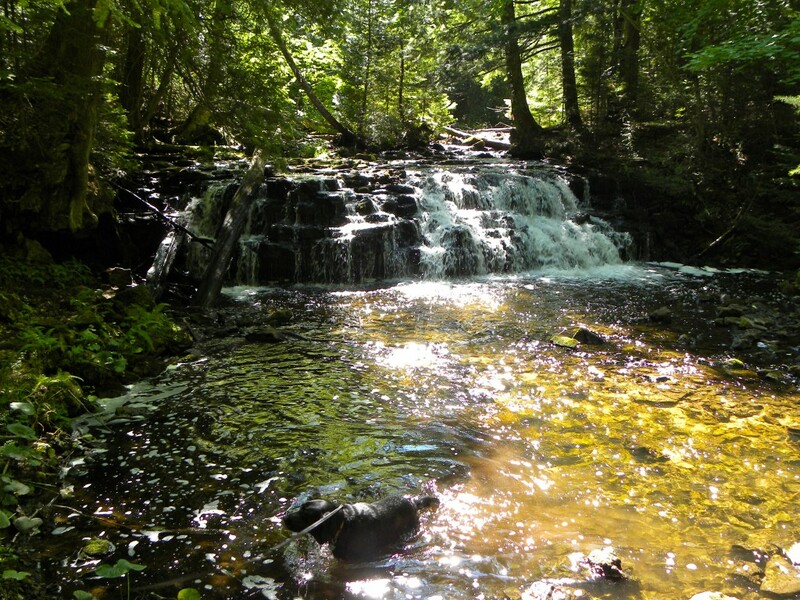 Grants are only available for conservation projects within the designated areas of concern, which are established by the conservation service throughout the Great Lakes region.